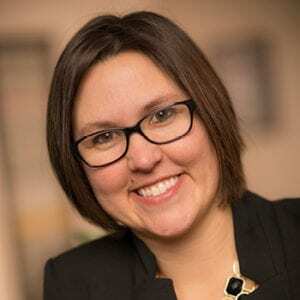 Proactive Advisor Magazine: Miranda, what led you to become a financial advisor? I was a psychology major in college but also took a number of business courses, which I greatly enjoyed. After graduating, I spent some time in the field of human services. This was a rewarding experience, but I could not envision building the rest of my career there—the burn-out rate is very high. I secured a position with a large national financial-services firm. My thought was that I could help people with their financial lives by combining a humanistic approach with a disciplined practice of financial planning and wealth management. I received strong training from that firm and had some early success in building a client base. I was fortunate after several years to find an opportunity with an independent firm where the president shared many of my views on how to work with clients. Laura Mossakowski founded our firm, is a Certified Financial Planner (CFP), and has over 15 years of experience as a financial advisor. She has been a great mentor both on the pragmatic side of the business and in creating a culture that is an excellent fit for our clients. Laura and I enjoy working together, and our values, ethical viewpoints, and client-service philosophies align well. What are some distinguishing aspects of your firm? Our firm works with clients of all types, but we have specialties in working with women and individuals in transition. I also have a good number of clients from the LGBT community. We focus on providing compassionate support and caring, professional guidance. A major life event such as the death of a spouse, a divorce, or a job change can hit someone like an emotional two-by-four. When it does, we think they need the financial guidance of an advisor who has helped people in similar situations adapt and move forward with confidence. For our firm, it is all about making clients comfortable, educating them on options for their financial situation, and putting the focus on a positive experience for a client where they can take control of the final decision-making. Their financial needs are our central focus, but we want to respect and support their emotional perspective, especially during times of transitional stress. This starts with our office environment, which we try to make as welcoming as possible, and then continues in all that we do. Talk about how you approach the planning process. Since I joined the firm, which was over a year ago, I have reoriented and expanded my planning process to one that is more holistic and that follows classic financial-planning principles. I have earned a certification for long-term-care planning and am in the process of studying for the Certified Financial Planner designation. Our firm emphasizes a disciplined process and a strong focus on client objectives, as well as providing client education. When someone comes into our office for a discussion, we want them to know that this experience is about them. Ultimately, we want to offer a path toward more financial security. Putting a client’s needs first and delivering strong service and support not only pertains to the initial planning engagement but is a commitment on our part for a long-term relationship. The first time a client comes in, we probably don’t know a lot about them, and they probably don’t know much about us. We take a lot of time upfront in a very open dialogue. We set the expectation that our priority is all about them and their comfort level regarding the relationship. We also explain how we will be compensated. If they don’t feel comfortable with that or any other part of the relationship, there is certainly no obligation to move forward. After that initial “chemistry check,” we then begin to discuss where their assets are invested now, the ins and outs of their personal finances and cash flow, their insurance protection, and—most importantly—what their aspirations and goals are for the future. We try to leave no stone unturned. One common approach Laura and I have is something I greatly appreciate with my background in psychology. We try to look at the behaviors that drive people to make decisions. We want to be in tune with how our clients will feel and react to things such as investment risk or other factors in their lives. Being in touch with the client’s feelings and attitudes helps us create a plan that is tailored to how they think and learn. We try to present information to each client based on their preferences and how they best take in information. We also do not sugarcoat things. We offer strategic options with a realistic look at the pros and the cons and how they fit in with a client’s situation. Their success is our success, and that demands a transparent and open process and discussion. Another important part of our process is having a concrete action plan that flows from a prioritization of the client’s planning goals. This provides them with a baseline road map that aligns with their objectives; identifies the recommendations and decisions we have arrived at throughout the planning process; and the specific next steps they should take in a variety of areas, including their investment plan. We are hopeful that the clients will work closely with us on implementation. That is not a requirement, but it is usually the case, and it allows us to further build the relationship and help ensure strong follow-through on the action plan. How do you approach the development of investment strategies for clients? We take a customized approach to each client’s investment plan. They are developed based on client short- and long-term objectives, risk profiles, and time horizons. Many of our clients are in managed advisory accounts, and that is a trend that should continue to grow within our firm. There is no one profile for our clients, but I think several of our client segments share some attitudes about investing. Women facing transition, millennials who are in the accumulation phase, and couples and individuals facing retirement, I have found, tend to be somewhat more conservative in their outlook on investing. For many of these types of clients and others, we will use strategies from third-party investment managers that have a goal of mitigating risk. These clients want to see growth in their assets, but they also do not want to have to worry excessively about large drawdowns in their portfolios. While there are no guarantees with any investment approach, I am a proponent of risk-managed, growth-oriented active strategies that seek to capture reasonable upside in the market while attempting to avoid the worst of market drops. My overall recommended approach in this scenario could include multi-asset-class and multi-strategy portfolio construction, where risk is also managed through strategic diversification. Another important benefit of working with third-party managers is having the ability to illustrate for clients in simple terms how the strategies recommended for their portfolio have performed over time, either in real performance or backtested performance. Again, there are no guarantees, but being able to show clients a realistic range of probabilities for returns is important as we jointly consider their portfolio options. This all becomes part of the investment-planning process, as we look at important planning assumptions such as projecting inflation, potential portfolio returns, and tax implications. We do not provide tax advice per se, but we do work with clients’ accountants and attorneys, and our firm brings a sensitivity to tax issues as we work through investment, retirement, and estate planning. Asset management can be a very complex topic. We want to make sure that clients understand both the broad picture of how their investment plan aligns with their goals and objectives and the specifics of how strategies can work together to pursue conservative growth with some level of risk mitigation. Working with skilled and experienced third-party asset managers means that I can provide focused expertise in that area to clients, allowing me to concentrate on providing solid guidance and overall planning solutions. I believe that is a winning proposition for our clients and contributes significantly to our goal of building strong long-term relationships. She tries to help the underserved segments of the community who are looking for an advisor who places a premium on a supportive atmosphere, openness, and transparency. She does not get involved in organizations simply to prospect for clients. She seeks to build quality personal relationships over the long term. She believes in getting deeply involved, making a real contribution, being accountable, and exhibiting leadership skills. Demonstrating those qualities will ultimately lead to earning respect and trust. A native of Wisconsin, Ms. Bonde attended the University of Wisconsin-Green Bay, where she earned a bachelor’s degree in psychology. 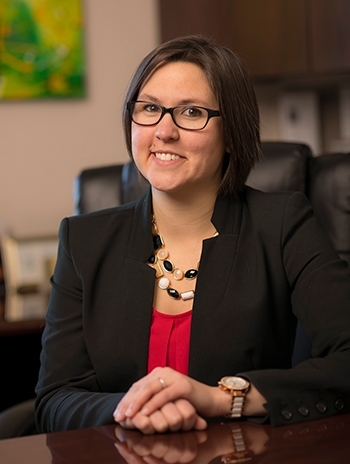 After spending a few years in the fields of human services and sales, she decided to pursue a career change where she could “have a major impact on people’s financial lives.” Ms. Bonde was recruited by a national financial-services firm where she “received excellent training.” She later spent two years with a hybrid advisory firm. She joined Laura Mossakowski in her practice in 2017. Ms. Bonde has earned the Certified in Long-Term Care (CLTC) designation, having completed a multidisciplinary course that focuses on the profession of long-term-care planning. She is also in the process of studying to become a Certified Financial Planner (CFP). 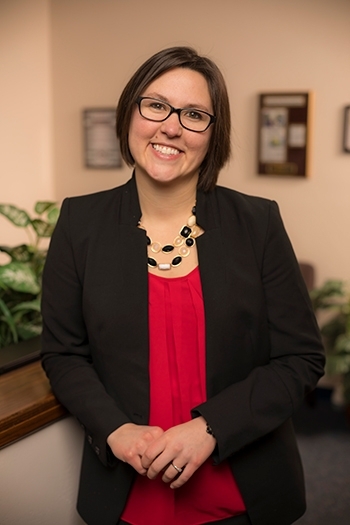 Ms. Bonde received the “Four Under 40” honor from the National Association of Insurance and Financial Advisors (NAIFA)—Wisconsin in 2017 based on the criteria of success in practice, continuing education, professional designations, industry involvement, and community involvement. Ms. Bonde is active in NAIFA and a number of civic, community, and charitable organizations. She is president of the Rotary Club of Green Bay and serves on their foundation board. She is also a member of her college’s alumni association, has supported events of the First Tee organization, and is involved with other volunteer activities. Ms. Bonde is an avid golfer, and she and her spouse “enjoy arts and crafts” and spending time with their two rescue dogs. Disclosure: Securities and advisory services offered through LPL Financial, a registered investment advisor, member FINRA/SIPC. Laura Mossakowski, LLC, is not affiliated with LPL Financial. All investing involves risk including loss of principal. There is no guarantee that a diversified portfolio will enhance overall returns or outperform a nondiversified portfolio. Diversification does not protect against market risk.